Parents of Australian citizens, Permanent Residents or eligible New Zealand Citizens can apply for a Parent Visa if they meet the balance of family test and can be sponsored by at least one of their children living in Australia. To apply as a parent you must be sponsored by your child, who must be an Australian Citizen, Australian permanent resident or eligible New Zealand citizen. • At least half of your children living in Australia, or more children living in Australia than overseas. • You can apply from another visa, such as a visitor visa, so long as there is not an 8503 restriction on that visa. • Assurance of Support (AoS): AUD5,000 for the main applicant ; for any adult secondary applicant is AUD2000. This bond will be held for the 2-year AoS period. – Assurance of Support (AoS): AUD10,000 for the main applicant ; for any adult secondary applicant is AUD4000. This bond will be held for the 10-year AoS period. 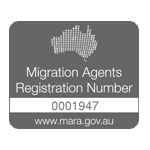 – Temporary visa: – pay $31,670 second Visa Application Charge per parent, which would entitle parents to a two-year temporary residence visa including Medicare access and work rights. During this two year period, parents may apply at any time for a permanent visa at which time the remaining payment of $19,420 is required. – The contributory parent visa category also requires a 10-year $10,000 Assurance of Support bond for main applicants and $4,000 for adult secondary applicants (for temporary visa holders, this is payable during processing of the permanent visa.) The assurance of support bond earns interest and is refunded after 10 years.